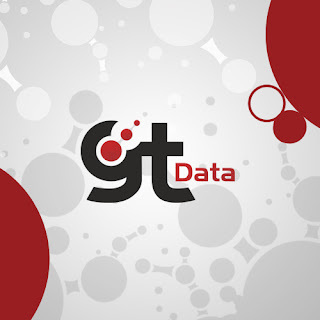 GTData version 14.0.0.6 is available. There are several significant updates in this version. GTIndex has had the -gtm option has been available for a while, but it now officially delivered. It allows you to index all graphics files by simply specifying the .GTM file. A new utility called GTExtractFiles is also provided to create subsets of the data. It is similar to GTExtract, but it outputs the individual files instead of a .GTX file. The subsets can be used with GTViewer Data Server and GTViewer for iOS/Android. Another new utility called GTQueryIdx will create indexes for Locate Queries (.QRY) to speed up performance when running a query. These indexes are supported by GTViewer 15+ and GTViewer for iOS/Android. GTFontEdit has had another round of enhancement to improve productivity. - NEW - #7673 - GTFontEdit - Support for MaskElement and ShapeWithHolesElement with the -b2a option (in GTFont). - FIX - #7689 - GTFont - More tolerant of invalid character definitions. It will now ignore them and continue with next character. - NEW - #7703 - GT2Shape - The -cf option has been added to manually specify the coordinate factors. - NEW - #7708 - GTIndex - The -gtm and -cat options have been added so that all parameters can be read from a .GTM file. - CHG - #7716 - GTUpdateData - GTUpdateData.exe renamed to GTUpdData.exe because Win 7 and Win 10 require UAC dialog when filename have "Update" in them. - NEW - #7764 - GTQueryIdx - The GTQueryIdx utility has been added. - NEW - #7779 - GTFontEdit - Snap Points are now shown with an indicator. - NEW - #7780 - GTFontEdit - Drawing reference lines will now work as snap points. - NEW - #7781 - GTFontEdit - Backspace key will undo the last point placed in a linestring. - FIX - #7782 - GTFontEdit - The *, +, and - keys will now work from the number pad and the regular keyboard. - NEW - #7786 - GTIndex - The -rf option has been added to create range files for each category as the data is indexed. - NEW - #7799 - GTQuery - The -v1 option now supports Offset and OffsetDB query types. - NEW - #7800 - GTFontEdit - The number pad 6 will now select all strokes. - NEW - #7801 - GTFontEdit - Keyboard Shortcut list added to Help menu.